Helmets provide 360-degree visibility without exposing soldiers to risk. Currently, the primary market for most virtual and augmented reality (VR/AR) systems is gaming, and for good reason — gamers are used to sitting behind screens and virtual readouts. Other industries are rapidly finding their own uses for VR/AR tech, however, and one of those is the military. 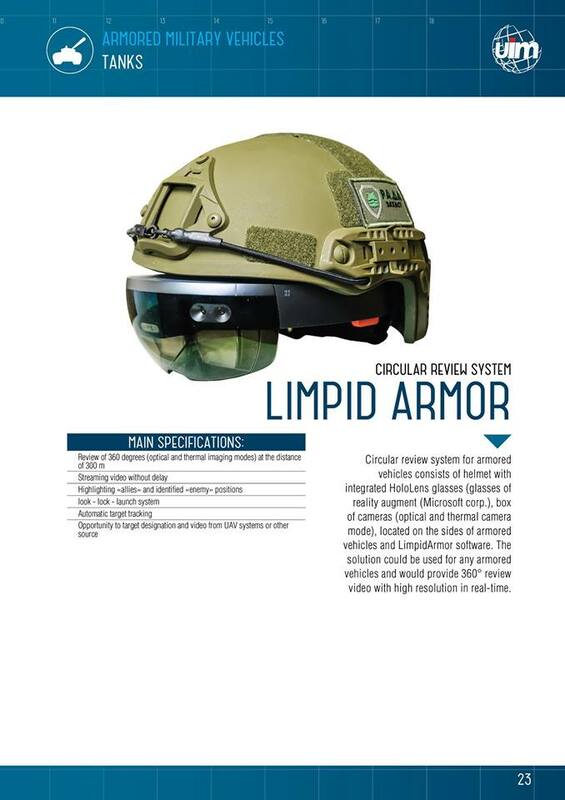 Now, a Ukrainian company, LimpidArmor, has developed a Microsoft HoloLens-based helmet for tank commanders. The Circular Review System (CRS) is essentially a combat helmet equipped with a HoloLens. The system is integrated with cameras outside the tank, giving commanders 360-degree visibility to both optical and thermal systems without exposing them to risk. The CRS can be used to identify friends and foes, designate targets, and feed other information on the battlefield directly to the commander. LimpidArmor is still developing their system and plans to include more features, like the ability to control the armaments of the tanks. They also hope to integrate feeds from drones and other aerial vehicles. After the CRS was demonstrated at the Arms and Security show in Kiev, the Ukrainian military decided it would like to test it, but they aren’t the only ones interested in HoloLens. As Bloomberg reports, the Israeli military has bought two systems as well, supposedly for battlefield training. While this current HoloLens development is in the military, the device is getting interest from a variety of sectors and industries, primarily for training purposes. Japan Airlines uses the system to train engineers in the study of the jet engine, and medical students are using it to study the human body. NASA is using the system to plan and blueprint its next Mars rover, rendering its designs and full-scale replicas in AR. The HoloLens is even being used to repair elevators, so clearly no industry or application is out of reach for the virtual world. Blockchains: Ukraine’s Solution to Ending Corruption?